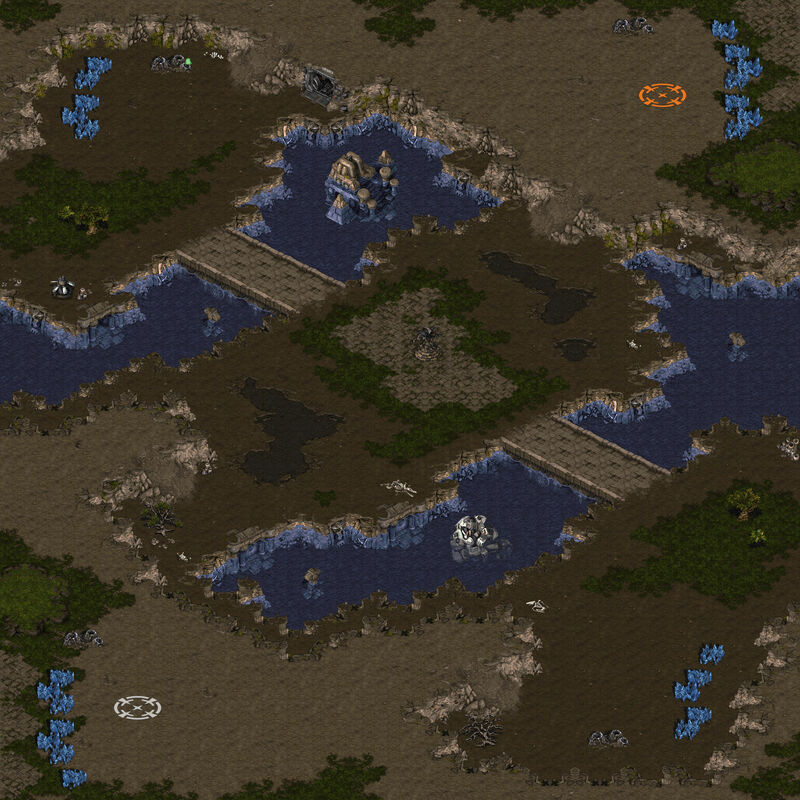 I have a series of three “mini maps” for Starcraft: Broodwar. These are 64×64, the smallest size used by the original game. The trick is to fit a fully playable map into that small size. All of them are 1 vs 1 deathmatch maps. 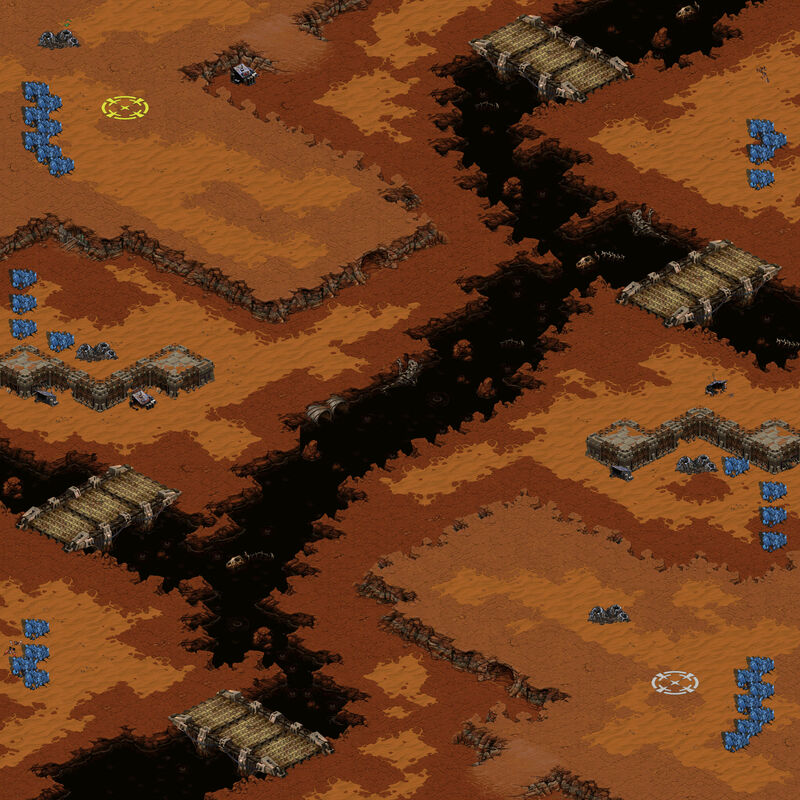 On these small maps, you are likely to see rushes and various early-game cheese tactics because the enemy base is so close. There are ramps and chokes, though, to defend against this. All maps provide natural expansions, some even additional mineral-onlies. 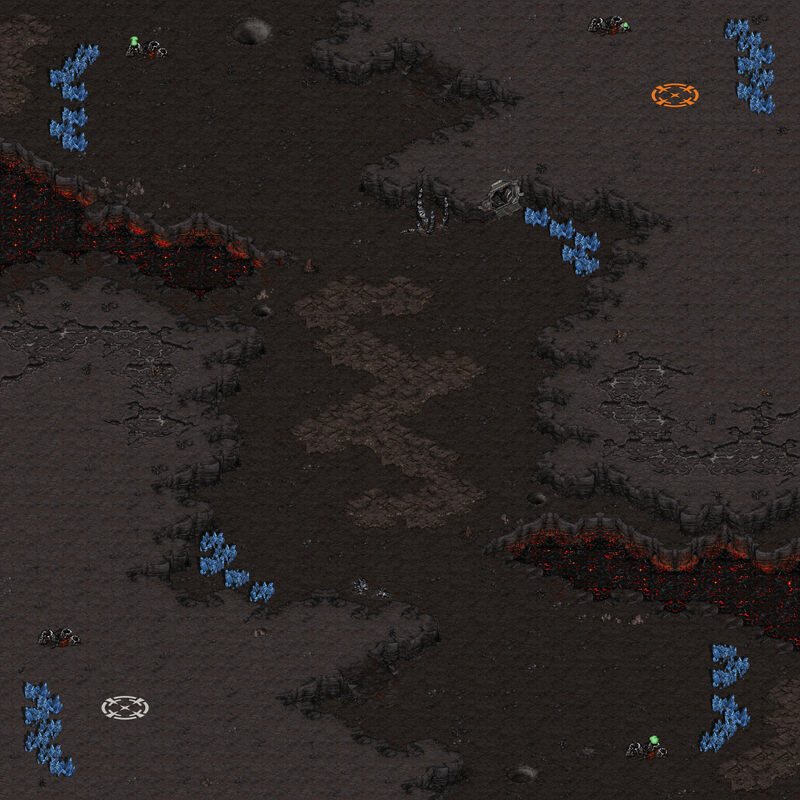 I’ve also been working on a Starcraft (Broodwar) single-player episode for ages. Poke me if you want the map files.